Dr. Cara McDonald is a highly trained medical and cosmetic dermatologist. 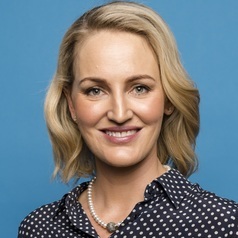 She is one of the directors at Complete Skin Specialists Dermatology located in Sunbury, and has been with the practice since 2010. Originally from Tasmania, Cara completed her medical degree at the University of Tasmania, where she was awarded First Class Honors. She has also been awarded a master of Public Health from the University of Melbourne. Her specialist training in Dermatology was completed through St. Vincent’s & The Alfred Hospital’s in Melbourne and also the Oxford Hospital in the UK. She continues to hold a public hospital consultant position at St Vincent’s Hospital Melbourne. Cara’s special interests in her field include skin cancer treatment and prevention, acne, psoriasis, and cosmetic dermatology. Cara’s extensive knowledge and experience in cosmetic dermatology and anti-ageing treatments lets her combine her specialist knowledge of the skin and understanding of anatomy to offer the safest and most natural looking cosmetic treatments. She specialises in facial rejuvenation using injectables, including dermal fillers and muscle relaxant agents and combines these with appropriate skin care and laser treatments when needed. Cara’s knowledge, skills and her professional caring nature ensures all patients are getting the best possible care.